Register today for our fabulous weekday offer! Childminders are FREE and each child is only £2.00!!! Cookie's Island is the place to be during the week, with our Parent and Toddler Sessions & Mini Clubs. Children are able to play freely, learn new skills and join in with our arts & crafts, cooking & baking and music sessions. Visit as many days as you wish between Monday to Friday, 10am to 3pm. (Term Time Only) and the discount rate will apply. Speak to a member of our reception team ither by visiting the centre or by phone. Did you know? 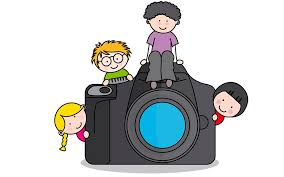 At Cookie's Island, we understand the importance of being able to document your children's development in various ways including pictures for learning journeys and displays in accordance to the EYFS framework. Visit us between 10am and 12noon on Tuesday's & Thursday's for our Snappy days. Only pictures can be taken during this time. *Term Time Only. Terms and conditions apply.